The final round of bidding on SUNY's new RFP for Long Island College Hospital (LICH) began yesterday. 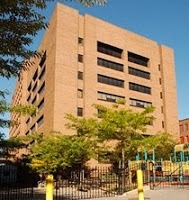 The Brooklyn Eagle is running photos of some of the less known buildings that are part of the LICH campus. Interested bidders are required to attend Monday's presentation. The complete RFP is posted online at http://www.suny.edu/hospitals/downstate/newrfp/. SUNY said that it will “initiate the right-sizing of LICH staff while maintaining current services.” Right-sizing means layoffs. 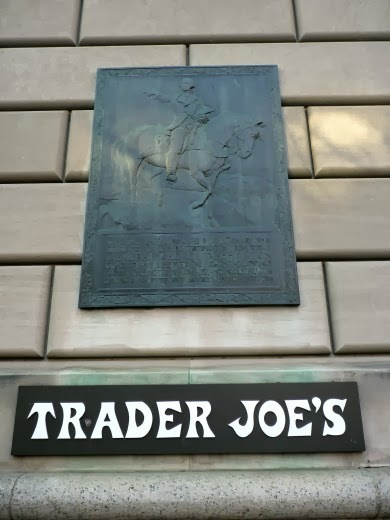 This sign on Trader Joe's in Cobble Hill Brooklyn, at the corner of Atlantic Ave. and Court Streets, explains that this is close to the site of the Ponkiesberg Fortification, from which George Washington observed the action of a Revolutionary War battle in 1776. Ponkiesburg was a 17th century enclave of Dutch settlers. Ponkiesburg actually translates to "Cobble Hill." The fortification at Ponkiesberg was a “conical hill which was situated from sixty to eighty feet above the present grade of the streets." A commenter on EphemeralNY says, "Another story has it that the hill in question was actually one of a number of Native American mounds in the area, all of which were long-ago razed by subsequent developers..."
History buff (and past editor of the Brooklyn Eagle) Fred Halla, on his Grand Republican site, says the Ponkiesberg Fortification was situated on on Red Hook Lane between Fulton Street and Boerum Place. 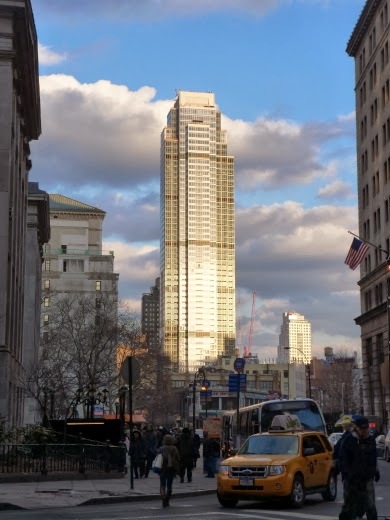 The new tallest building in Downtown Brooklyn, 388 Bridge Street, certainly makes itself known in Downtown Brooklyn. Here you can see the impact it makes on the skyline, as seen from Joralemon and Court Streets near Brooklyn Borough Hall. 1.Where are the children who eventually live here going to go to school? In one, elegant move, state Supreme Court Justice Carolyn Demarest changed the game concerning the recently-negotiated SUNY - LICH agreement. The agreement, devised under Justice Johnny Lee Baynes, will allow a real, honest RFP to be offered for Long Island College Hospital (LICH) . . . but Justice Demarest had to sign it first. Sources told the Brooklyn Eagle that before signing the LICH – SUNY settlement papers on Monday, Justice Demarest made some handwritten changes to the agreement. The most important change, the sources said, makes clear that Judge Demarest retains jurisdiction over the trust-related issues -- so that SUNY must go back to her to complete any transaction. This includes the quickly disappearing $140 million Othmer Endowment, which LICH supporters had despaired would be totally lost when they had to agree to drop all charges against SUNY in return for an honest RFP. This important insertion by Justice Demarest is another layer of oversight to that provided already by Justice Baynes, who said in court that he was going to make sure everyone was treated with the respect they deserved. Brooklyn is very fortunate to be served by Justice Baynes and Justice Demarest! - Today at 2 pm, the City Council will hold a hearing on the question: "What changes in the City Council's Rules can make a more responsive, transparent, and effective legislature?" Make your suggestions here. 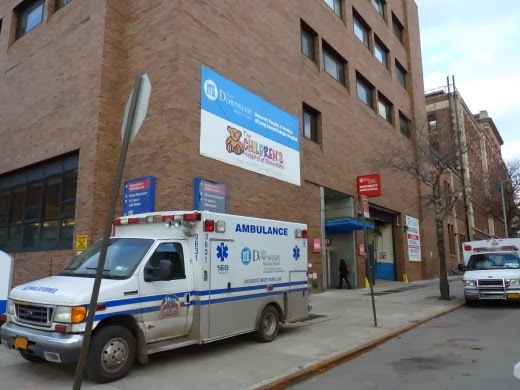 A deal brokered between SUNY and the Long Island College Hospital (LICH) coalition could lead to a new, honest round of bidding for LICH as soon as Thursday, according to the Brooklyn Eagle. State Supreme Court Justice Johnny Lee Baynes has already approved the agreement. On Monday other parties must sign off on the deal -- most notably, state Supreme Court Justice Carolyn Demarest. 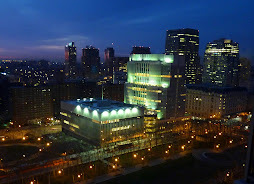 It was Justice Demarest who approved the takeover of LICH by SUNY Downstate in 2011, and it was Justice Demarest who expressed remorse with her approval when she saw what a mess SUNY Downstate made of LICH. No doubt she is thinking long and hard about a deal that will absolve SUNY of its LICH crimes -- at least the ones we know about. It doesn't guarantee a hospital. Rather, proposals that include a hospital will get a higher score by evaluators. It doesn't guarantee healthcare workers jobs either. 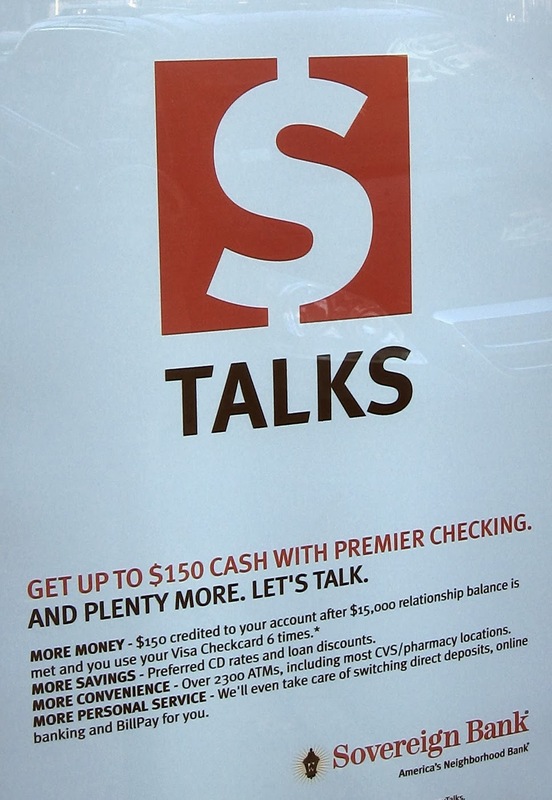 Layoffs may start in April. All the deal guarantees is an open process, designed with the input of the community, to sell LICH to someone who wants to operate a hospital. If no hospital bidder appears, then the bidder offering the most medical services will likely win. Once the RFP is issued, any and all bidders will have 15 business days to submit a proposal. Evaluators will have seven business days to consider and rank the proposals. Since at least one group already proposed a hospital, interested bidders best propose a full-service hospital if they want to be considered. Many more details are listed here. A breakthrough agreement had been negotiated between SUNY and the Long Island College Hospital (LICH) community that will result in SUNY issuing a brand new Request for Proposals (RFP) to sell LICH. 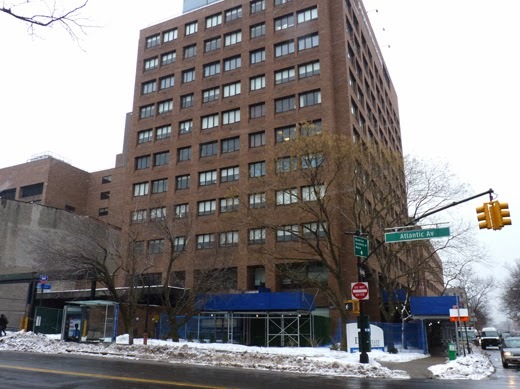 LICH is the Cobble Hill hospital that SUNY Dowwnstate got ahold of under false circumstances in 2011, and then tried to flip to developers. SUNY has been battling a coalition of community groups and unions for a year while trying to run their "rigged" (as electeds say) RFP. Full details won't be revealed until tomorrow but leaks from the Mayor's Office have it that SUNY will be out of LICH by sometime in May, kneina hura. Guess #1: The agreement calls for SUNY to do what any reputable organization would have done in the first place withoutt beeingg asked. Guess #2: For finally doing sometthing honest (and even then only under threat of jail aand fines), the community will drop all the charges agaainst SUNY. UPDATE: The Thursday morning hearing has been delayed. No word yet for how long. More to come. 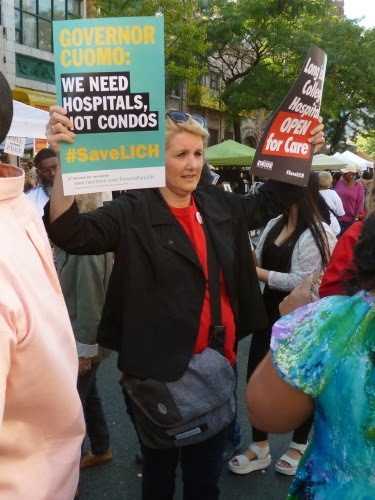 Wednesday night Long Island College Hospital (LICH) supporters -- nurses, community groups, doctors and health care workers-- declared their solidarity and got ready for another day in court in Brooklyn for the second day of the contempt case against SUNY. 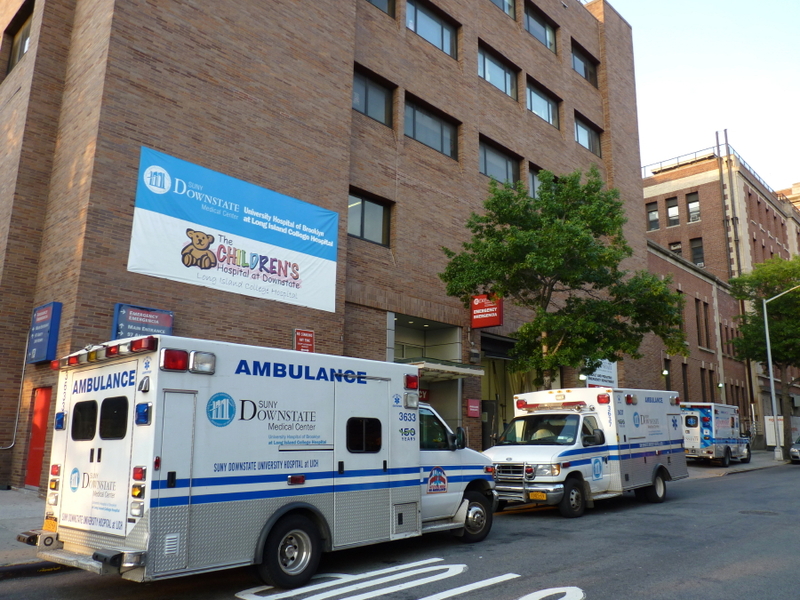 SUNY and DOH are charged with dozens of violations of orders requiring them to keep LICH open, issued by state Supreme Court Justice Johnny Lee Baynes. Justice Baynes has asked to see all parties Thursday morning. It's never possible to predict what will happen next in this most convoluted of court proceedings. Possible outcomes range from a week-long hearing featuring damning testimony against SUNY and DOH officials . . . to a compromise that will allow their rigged RFP (Request for Proposals) to be rebid, this time with community involvement and transparency. Will SUNY officials be punished for their crimes? 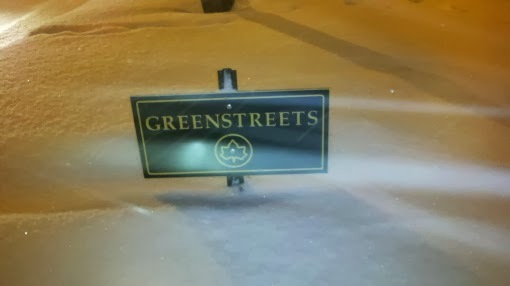 Least plowed street in NYC has got to be the Windsor Terrace one that the former Brooklyn Borough Prez lives on. Was it ever plowed? The LICH - SUNY - de Blasio - Fortis rumor machine switched into overdrive in Brooklyn on Tuesday as state Supreme Court Justice Johnny Lee Baynes, who must be sorry he ever heard of SUNY or LICH, agreed to a 2-day adjournment of SUNY's contempt hearing because the 1199SEIU union said Bill de Blasio was getting involved. A source told the Eagle that Mayor de Blasio “was not pushing for a full-service hospital” -- something de Blasio spokesman Phil Walzak immediately denied. LICH attorney Jim Walden told the Eagle, “It appears to me that someone is trying to instill panic that the negotiations are about to fail. In point of fact, they were within a whisper of succeeding . . ."
Interested in Mayor Bill de Blasio's Universal pre-K plan? On Wednesday, Feb. 19, from 6:30 to 8:30 p.m. at Brooklyn Borough Hall, New York Communities for Change is hosting a Brooklyn Town Hall to discuss the city's plan for pre-K and after-school programs. Over 400 circus and variety arts stars have appeared in this show since its inception, featuring aerial performance, fire eating, funambulism, contortion, acrobatic balance, sword swallowing, juggling, physical comedy, sideshow stunts, oddball novelty turns and much more. 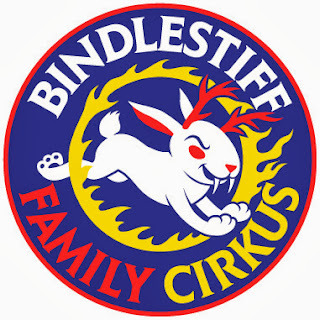 The Bindlestiff stage is one of the few arenas in the world where audiences may see internationally renowned street performers, featured acts from Cirque du Soleil and Ringling Brothers, artists made known by America's Got Talent, and local legends -- all on stage together in the same show. Live music is a defining feature of Bindlestiff's Cabaret shows, with witty, original tunes by a variety of NYC's best composers and accompanists. The evening shows are for adults only! The audience is encouraged to participate in the glamour of the evening by dressing the part. Those in costume or circus makeup can ask for a discounted ticket at the door. Every Top SUNY Official Will Be Hauled Before a Brooklyn Judge on Tuesday. Every. Top. SUNY. Official. The long awaited SUNY contempt hearing is taking place Tuesday morning at 10 a.m. -- that's tomorrow. SUNY has acquitted itself in a shameful manner in it's treatment of western Brooklyn and the thousands being served by Long Island College Hospital (LICH). The long, sad laundry list of contempt charges facing the State University of New York's board of directors and top officials, with the complicity of the state Dept. of Health, goes beyond shocking. Enormous political pressure from Albany -- plus well-financed full publicity plays by Fortis Property Group and Related Companies -- is being brought to bear upon Brooklyn's politicians and no doubt on its judges. Only a few pols (who overwhelmingly represent SUNY Downstate's "service" area) have taken the bait being offered by the developers and SUNY. Officials actually representing LICH's patients -- Daniel Squadron, Joan Millman, Carlos Menchaca, Brad Lander, Nydia Velazquez, and Stephen Levin -- are calling for a complete do over of SUNY's obviously "rigged" Request for Proposals (RFP) process, and a health proposal that serves local residents, not developers. SUNY and DOH officials must be held responsible by state Supreme Court Justice Johnny Lee Baynes for their numerous acts of contempt against the court and the people of Brooklyn. The evidence is overwhelming. 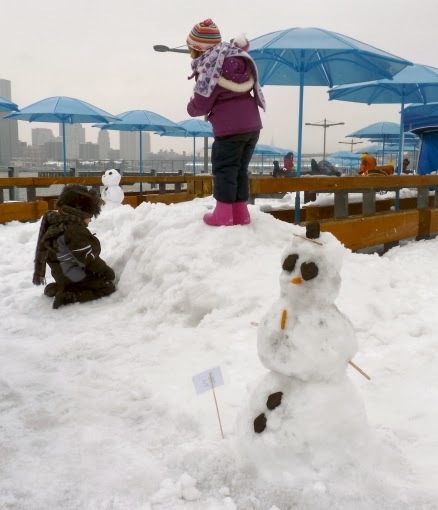 More than 100 participants came out for the Snow Sculpture Contest this Saturday at Brooklyn Bridge Park, and the results were creative and adorable. 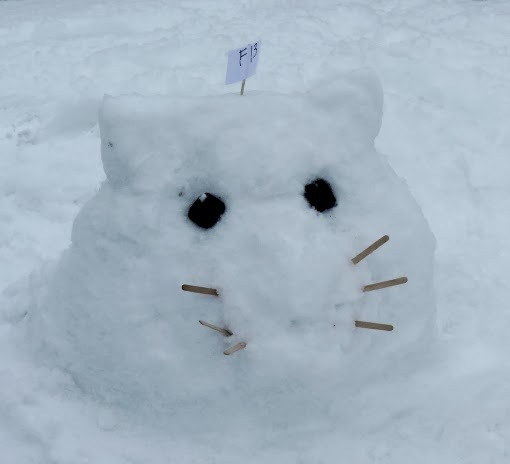 ...to this sweet snow cat. 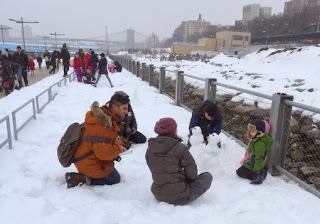 Brooklyn Bridge Park supplied a bag of coal for eyes and buttons. 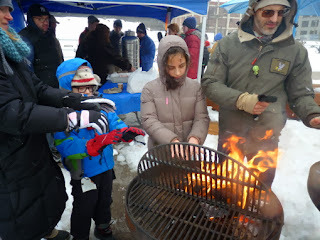 Fornino's supplied hot chocolate, cupcakes and a warm fire for frozen fingers. 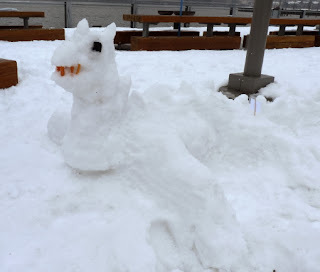 This snow dragon, by Katherine and Henry Winchester, was part of the winning family entry. There was a castle, too. 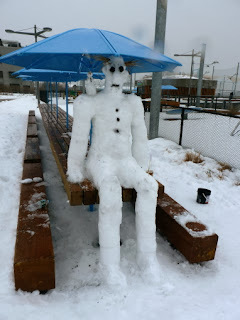 In the adult category, we liked snow guy, who had a little snow man perched on his shoulder. This three-person team sculpted an awesome octopus, which took home the adult prize. The contest was a great idea by Brooklyn Bridge Park's programming folks, and got a lot of people out into the park on a snowy winter's day. BBP says they may do this again next year. 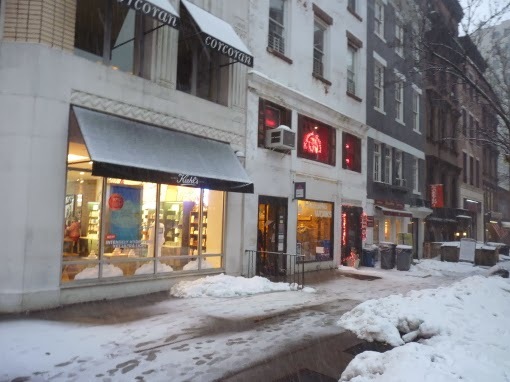 Early Monday morning, 838 Brooklyn Consolidated Edison customers were in the dark, a result of 149 power outages scattered across the borough. Some big problem areas: On Third Street near Seventh Ave., 161 customers are experiencing a partial outage; on Eighth Ave. near President Street, 55 customers are out of power. A burning manhole took out 91 customers on W. 10th Street near Kings Highway. 28 customers have no power at 16th and Cropsey Avenues. Manholes are blowing all over the place, causing small power outages all over -- in Vinegar Hill, Prospect Lefferts, Flatbush, Midwood, New Utrecht, Dyker Heights, etc. In Queens, 248 Con Ed customers were without power. On Saturday afternoon, more than 7,500 Dyker Heights customers were left in the dark for just an hour or so, after problems with overhead wires. Above, Henry Street, near Love Lane. During Washington's time, a British fort stood across the street. The Brooklyn Heights Promenade, with One Brooklyn Bridge Park in the distance. Though it seems like it's been here forever, the Promenade was only finished in 1950. The new Kiehl's on Montage Street, next to Housing Works. In the 1800s, the Montague Street Penny Bridge extended over Montague Street where it went down to the Wall Street Ferry on the waterfront. The Fortune House Chinese restaurant at 82 Henry Street, next to Fascati's pizza. In the mid 1800s, the Fireman’s Hall was built on Henry Street across from the block shown above. 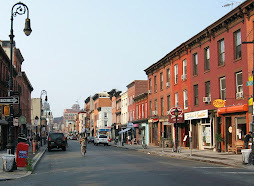 According to Whitman's Brooklyn, the hall "was another outgrowth of the Great Fire of 1848 that burned much of Downtown Brooklyn from Washington [Cadman Plaza East] to Pineapple to Henry to Sands Street." The church "was built as the Church of the Holy Trinity by Brooklyn paper manufacturer Edgar Bartow who wanted a magnificent edifice for the City of Brooklyn, with pews that were rent-free. He built it between 1844 and 1847 on the highest point in Brooklyn Heights, which was sparsely settled with some large merchants’ homes, small homes and shops and a number of unfinished streets and vacant lots. Bartow purchased the site’s eight lots from the nearby estate of Hezekiah B. Pierrepont (his wife’s family)." AshleyMadison.com, the cheater's web service, has published data on Valentine's day that proports to show that residents of New York state have been engaging in extra-marital affairs in record numbers. The "dating site designed for people who are already in relationships" reveals the Big Apple’s least faithful neighborhoods -- based on the "more than 840,300 cheaters" who live there. 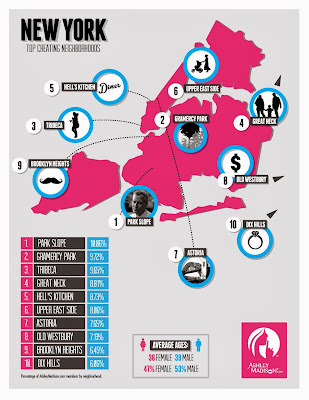 According to membership per capita, the most affair seekers live in Park Slope (replacing previous #1 spot Great Neck), with Gramercy Park, and Tribeca rounding out the top three neighborhoods. We note that AshleyMadison chose notorious stay-at-home dad Mayor Bill de Blasio to illustrate the map for the cheaten' neighborhood of Park Slope. Get your snow creativity on: On Saturday, February 15 from noon - 2 p.m., Brooklyn Bridge Park is sponsoring a snow sculpture contest on the Picnic Peninsula at Pier 5. Put on your warmest winter gear and get creative building your best snow man, snow creature… anything. Alongside a day of fun in the snow, sculptors can warm up with free hot chocolate and treats from Fornino. The best sculpture in the adult and family divisions will win prizes including ski passes to Stratton Mountain and gifts from Waterfront Wines, The Moxie Spot, and Fornino. Your team must sign-up at the blue Conservancy tent on site in order to win prizes. 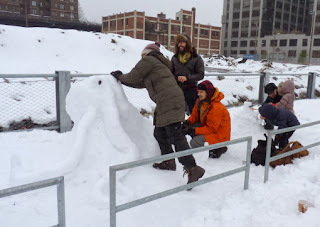 Sculptors of all ages can compete in teams of up to four members. The Picnic Peninsula is just north of Pier 5 near Joralemon Street. The winners will be announced at 2 p.m. 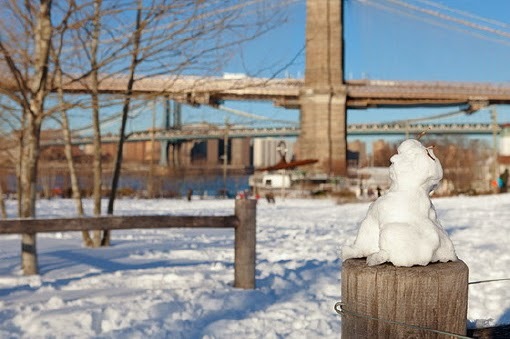 Check out this photo of a snow sculpture in a NYC park. "Battered Pride in Brooklyn: An Anti-violence Forum for the LGBTQ Community and their Allies," will take place on Saturday, February 15, from 2 to 5 p.m. in the Chapel of First Unitarian Church at 121 Pierrepont St. at Monroe Place in Brooklyn Heights. 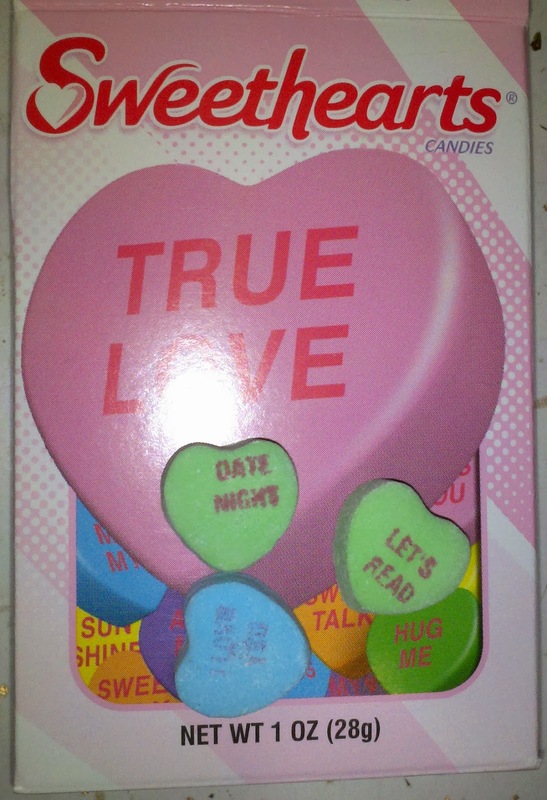 Happy love and kisses day! 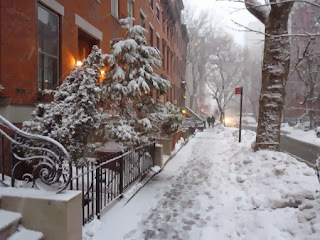 Mayor de Blasio and Chancellor Farina got a lot of flak on Thursday for not closing NYC schools on that very snowy day. But many of the city’s 1.1 million public school kids depend on school for stability and a hot meal, the Mayor said. - About 75 percent of all New York City public school students (roughly 800,000 kids) qualified for free or reduced price lunch last year because their family income was so low. - School attendence on Thursday was 45 percent. Maybe it was stupid to keep schools open, but it could also be true that for many of those who did attend, having a safe place and hot lunch was pretty important. Gov. Andrew Cuomo and Sen. Charles Schumer announced on Thursday that that New York’s ‘Medicaid waiver’ request has has been approved by the federal Department of Health and Human Services. The state will receive $8 billion. The unanswered question: Which Brooklyn hospitals will benefit? 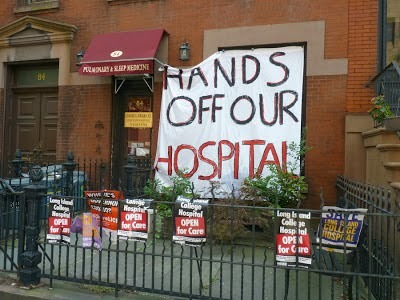 DOH's Dr. Shah has already tried to rule out Long Island College Hospital (LICH) in Cobble Hill. 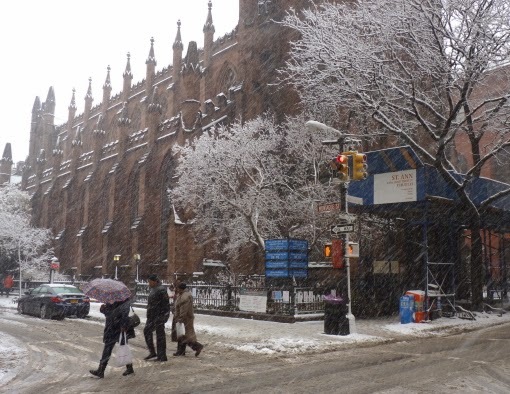 All Local, Express and SBS Bus service in New York City is experiencing delays, due to weather related conditions. 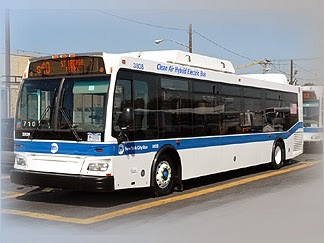 All Brooklyn Limited Bus service is local due to weather related conditions in both directions. 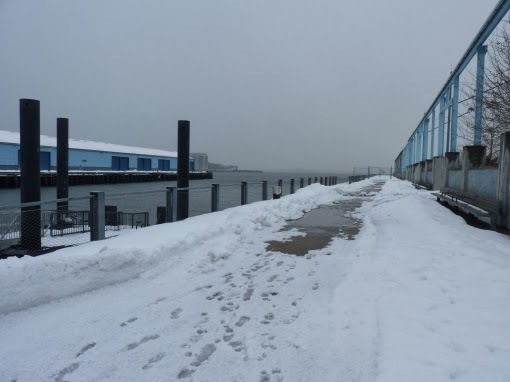 The National Weather Service predicts 3 - 5 more inches of snow in western Brooklyn Thursday night, probably starting around 10 p.m. This will bring snow totals to 14 - 20 inches. There will be rain or sleet before it changes to snow. "Some thunder" and high winds will be a part of the show, so best to stay inside if you can. NOAA: "IMPACTS...SNOWFALL WILL MAKE TRAVEL TREACHEROUS. HEAVY WET SNOW WILL LIKELY BRING DOWN SOME TREE LIMBS AND POWER LINES. 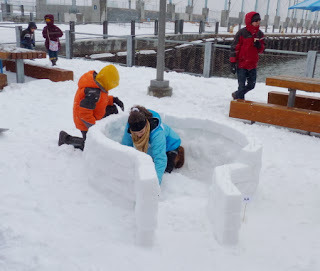 WEAK...FLAT ROOF STRUCTURES MAY ALSO BE SUSCEPTIBLE TO COLLAPSE IF NOT CLEARED OF SNOW AND ICE." 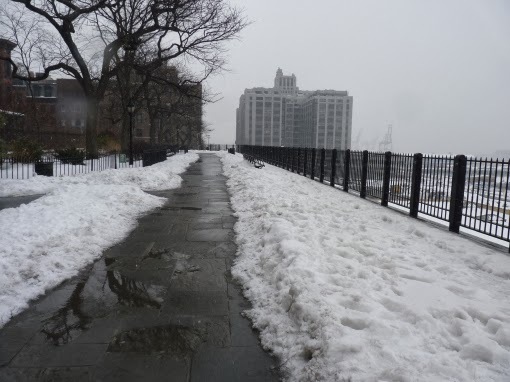 This is the SIXTH big snow in the six weeks that de Blasio's been Mayor. On Thursday, he defended himself from complaints that he should have canceled school today. The forecast for winter storm Pax started out calling for 5 inches of snow, then for 5 -8 inches but changing to rain Thursday afternoon. Now, NYC OEM has issued a Hazardous Travel Advisory for Thursday and Friday. The snow is forecast to change to a wintry mix or all rain in the late afternoon -- before changing back to snow with an additional 2 to 5 inches of accumulation Thursday evening. Those just west of the snow changeover line will get hit with a lot more snow, while those east of it (Long Island, possibly parts of Brooklyn) will get more rain. Forecasters don't yet know for sure where that line will fall. Coastal areas may flood because the storm will hit during high tide. Tomorrow night, the rain will freeze and turn slick, and strong winds could knock down tree limbs covered with heavy snow and ice. Alternate side is canceled, but meter rules remain in effect. Experts say don't drive, don't walk on ice or under trees, and don't even go outside if you don't have to. Schools are OPEN, field trips are canceled. The MTA says it has activated all its storm-fighting forces across New York City Transit subways and buses, Metro-North Railroad, Long Island Rail Road and MTA Bridges and Tunnels. "All MTA services are subject to being delayed, curtailed or suspended during a storm as significant as the one currently forecast. MTA personnel are preparing for the possibility of snow and ice building up overnight and possible high winds," and customers are urged to monitor the MTA alert page for service status before leaving home Thursday. 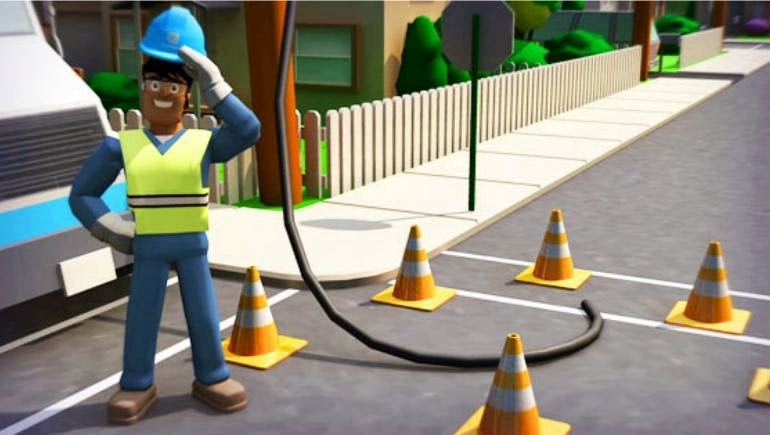 To request that your street be replowed, the city has an online replow form here. 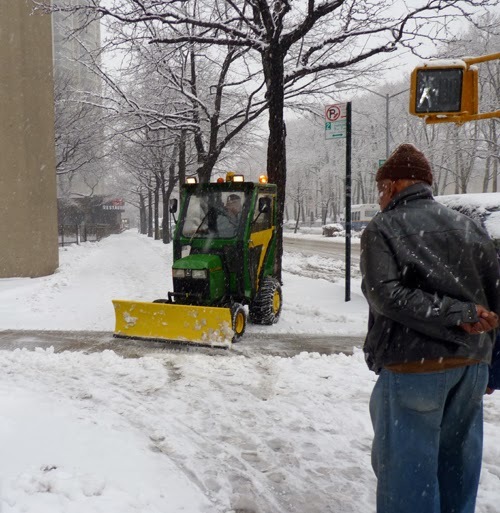 The Department of Sanitation issued a ‘snow alert' at 1 a.m. DSNY personnel have begun their initial equipment readiness tasks, including loading salt spreaders, attaching plows when necessary, preparing tire chains and notifying supplementary personnel as needed. The latest National Weather Service precip map shows that northwestern Brooklyn and Manhattan could get hit with from 10 - 14 inches, while the usually harder-hit southeastern Brooklyn and Long Island could get "only" 8 - 10 inches, depending, again, on where the snow/rain changeover line falls. The weather Friday: Sunny and 40 degrees! From the scanner: Shortly after 1 a.m. Thursday morning (Feb. 13) a call came in to NYPD that a man was waving a knife and threatening people on a southbound platform at the Borough Hall (Boro Hall) subway station. According to dispatch, the man with the knife was then reported as heading towards the 4 and 5 train. The entrance to the Boro Hall station is at the intersection of Court and Montague Streets in Broooklyn Heights. UPDATE: Dispatch told cops to 'slow down' their response around 1:20 a.m.
Brooklyn: Dekalb Ave & Carlton Ave ESU & NYPD on scene with a suspicious package, Bomb Squad being requested to the scene. From NY Scanner: A block away from Fort Greene Park, NYPD on the scene checking out a suspicious package. Bomb Squad requested. 12:32 a.m. early Wednesday. A post-Sandy report obtained by the Albany Times-Union offers a scathing peak peek inside the operations of New York State's Division of Homeland Security and Emergency Services during and after Superstorm Sandy. What it reveals is a demoralized agency operating out of a cold-war bunker in Albany using a computer system incapable of communicating with other systems, trying to cope after its most experienced and knowledgeable staff -- fully 50 percent of its personnel -- took early retirement after being labeled "non-essential" the year before the storm. The report (posted below, click on the bottom right rectangle to expand) exists in two versions. The one below contains additional text in blue, bolded type meant only for the eyes of DHSES Commissioner Jerome Hauer. While the report is couched in terms non-critical of Gov. Cuomo, it paints a clear picture how his demand to set up a "regional" OEM center for himself in Manhattan caused chaos, sucking the "A team" out of HQ in Albany, and leaving a resentful and understaffed "B team" trying to function without its most experienced leaders. This may also explain why a study of Brooklyn's critical surge-capacity hospital and health needs has never been carried out. Also mentioned in the Huffington Post. The four developers still bidding for LICH must have a number of questions at the moment. SUNY's board of trustees and various SUNY Downstate notables are likely going to be compelled to testify before state Supreme Court Justice Johnny Lee Baynes in Brooklyn on Thursday for totally blowing off a half dozen of his orders to keep Long Island College Hospital (LICH) open. UPDATE: Thursday's snowstorm pushed the hearing off till next Tuesday, February 18. Though it's likely that one or two members of the board could claim they had no idea what the hell Dr. Williams was doing down in the wilds of Brooklyn, the board bears the ultimate responsibility for SUNY Downstate's actions: They hired Dr. Williams, they paid for all the lawyers and all the security guards, they approved the wildly illegitimate RFP (Request for Proposals) crafted for developers, they even sat through Friday's developer presentation as if it was legitimate. Besides fines, jail time, etc., the trustees should have to make up the roughly $200 million dollars worth of paying customers SUNY turned away from LICH over the past year. Whose idea was it to turn away all the patients, stop billing, fire the doctors and lock the doors to prevent LICH from making money -- even as Justice Baynes was calmly saying over and over, "You can't do that." Hint: The only reason it makes sense to turn away paying customers and lose millions for SUNY is if a deal was made in advance with a developer to turn the property over empty. After Wednesday night's snafu, a televised presentation featuring five of the bidders in SUNY’s crazy Long Island College Hospital (LICH) firesale is now available for viewing above or on TV on Friday on BRIC's community access Brooklyn Public Network. The program put together by Brooklyn Borough President Eric Adams was initially scheduled to air Wednesday night at 9:30 PM, but was delayed "due to technical difficulties experienced by BRIC/BIM." "All five of the presenters said they had met with community organizations and had the backing of local leaders. 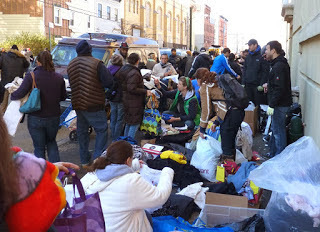 But local leaders contacted by the Brooklyn Eagle on Thursday said that was news to them." 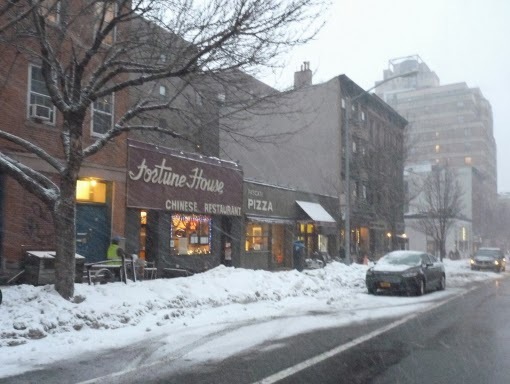 "Jeff Strabone, spokesperson for the Cobble Hill Association (CHA), when asked if any of the developers reached out to the group, replied, 'Hahahaha!'" Attorney Jim Walden of Gibson, Dunn & Crutcher, said, “There is no sense commenting on or reacting to any of the proposals, since this process has no chance whatsoever of withstanding legal scrutiny." SUNY was apparently going to vote on the proposals Friday but, like the animated cartoon character Morph, the bids are actually changing before our very eyes. Example: Brisa group is reportedly saying it has partnered with North Shore-LIJ, but North Shore says it hasn't. Brooklyn Hospital says it will kinda with Mt. Sinai. BTW, Related Companies will throw SUNY an extra hundred million if they get the LICH property rezoned. If you'd rather watch the show on TV, it is airing on the Brooklyn Public Network, which can be found on Cablevision (Channel 69), Time Warner Cable (Channel 56), RCN (Channel 84), Verizon FIOS (Channel 44) or on their website’s Channel 3 at http://bricartsmedia.org/community-media/watch-brooklyn-public-network. Times: Friday, February 7th at 1:00 PM, 2:15 PM, 8:00 PM and 9:00 PM. This year's Brooklyn Heights Association Annual Meeting features Clay Shirky as the guest speaker. Shirky will speak about what the internet does to culture. Books: "Here Comes Everybody: The Power of Organizing Without Organizations" and "Cognitive Surplus: Creativity and Generosity in a Connected Age." The event is scheduled for Thursday, February 27, at 7 PM at the Brooklyn Historical Society, 128 Pierrepont Street. BHA President Alexandra Bowie will open the meeting with a report of BHA activities, followed by Tom Stewart with a presentation of BHA Awards for Community Service. This meeting will be open to the public. A reception with light refreshments will follow the meeting. For more details, please contact the BHA office at 718-858-9193. 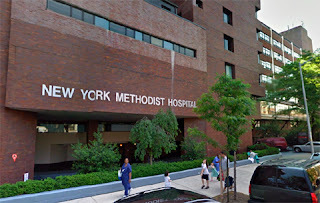 Methodist Hospital Hearing and LICH Hearing Both Take Place Feb. 11 at 10 a.m.
You gotta pick and choose between Brooklyn hospitals at 10 a.m. on Tuesday, Feb. 11. 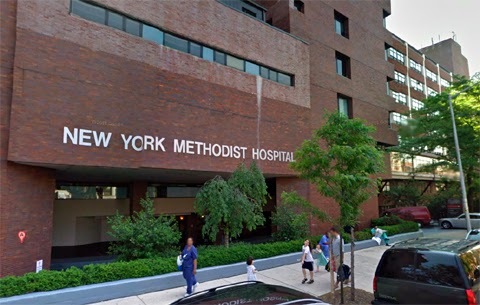 That's when the New York Methodist Hospital's proposed new Center for Community Health application is on the Board of Standards and Appeals (BSA) meeting agenda in Manhattan. The public will be testifying. That's also the exact date and hour the contempt hearing against SUNY, its board and the DOH for their actions in trying to close and "monetize" Long Island College Hospital (LICH) is taking place at state Supreme Court in Brooklyn. The public will also be testifying. So we got together with some friends after work last night to watch BP Eric Adams' big TV Q & A about the developers who resubmitted bids to buy LICH. Like much about the LICH process, all the real stakeholders had no real involvement. Brooklynites were asked to email or tweet in questions. The developers would then try to answer them. We did learn a lot about men's grooming, however, and heard a nifty song about men's genitalia, in which the genitalia were referred to as "onions." Anybody want any cold leftover pizza? UPDATE: BCAT says the show will air today. 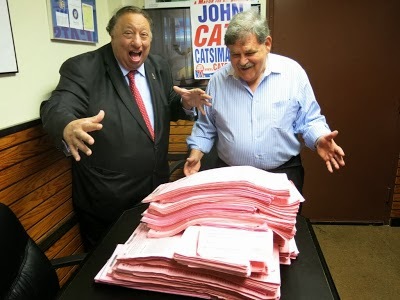 When we last caught up with the farce that is SUNY's attempt to unload Long Island College Hospital (LICH), John Catsimatidis seemed far away . . . 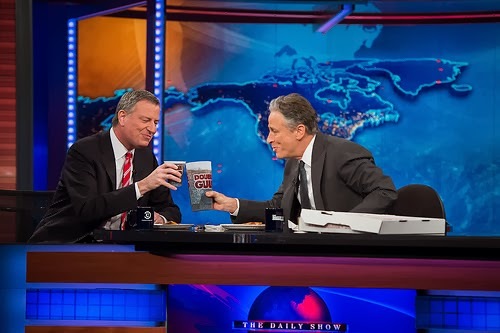 He was such a standout as a Mayoral candidate, we actually miss the guy. We know that somehow this whole thing's gonna backfire, but we are enjoying the thought of the big boy himself standing by LICH's front door, greeting patients as they enter, petting his cat . . .
* Brooklyn elected officials call out SUNY. Good work, folks. We will vote for all of you again! That Che Guevara-loving lefty, Mayor Bill de Blasio, has finally come clean about his dastardly plans for the Upper East Side -- which include plowing the snow to the tony nabe. And maybe locusts. Yeah, locusts. Tuesday night: Snow, freezing rain, and sleet, mainly after midnight. Low around 29. Chance of precipitation is 100%. New snow and sleet accumulation of 3 to 5 inches possible. Wednesday: Rain, freezing rain, and sleet before 3pm, then a chance of rain and sleet between 3pm and 5pm, then a chance of rain, snow, and sleet after 5pm. Chance of precipitation is 100%. New snow and sleet accumulation of 1 to 2 inches possible. Wednesday night: A chance of freezing drizzle before 9pm. MELTING SNOW WILL REFREEZE ON SIDE WALKS AND ROADS TONIGHT AS TEMPERATURES FALL THROUGH THE 20S AND TEENS. Greenpointer's will be holding their annual Valentine's Market on Sunday February 9, from 1-7 pm. The artsy-craftsy event takes place at Greenpoint Loft (67 West St, 5th Fl). Take the elevator up; stairs are an option. Serving: Brooklyn Brewery & Mulled Wine (Dandelion Wine + Greenpoint Trading Co.), Cafe Grumpy Coffee, Adelina's Rice Balls, Cafecito Bogotá Empanadas & Ovenly Cookies - served on responsibly made Susty Party supplies. Besides cool gifts, the market features Speed Friending, FREE Love Letter Writing by Brooklyn Craft Company; FREE Couples Astrology Readings by Sidereal Signs; FREE Photo Booth by MAROfoto; FREE Nail Art by @Peenk! FREE Massages by Human@Ease. Terrarium Class by Claire in the loft at 1:30pm. (Pre-registeration required.) $60. The National Weather Service has issued a Winter Storm Warning for Brooklyn and other NYC boroughs, along with Long Island and parts of NJ, from 5 a.m. to 7 p.m. today. NOAA is warning of snow accumulations of 5 to 8 inches. It will likely start out as rain before 8 a.m., changing to snow afterwards. 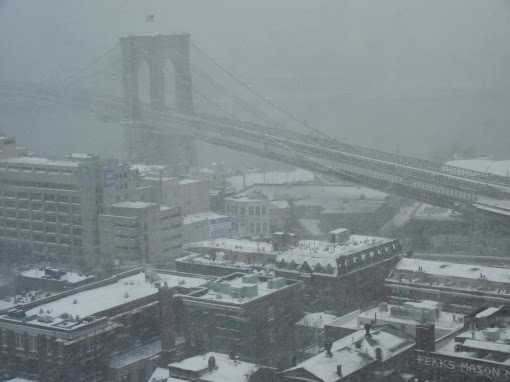 The NYC Office of Emergency Management has issued a Hazardous Travel Advisory. Use mass transportation whenever possible. 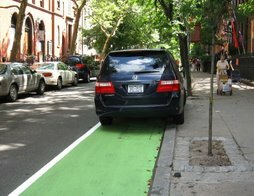 Alternate Side Parking Regulations will be suspended on Monday. Parking meters will remain in effect throughout the City. School has not been canceled. 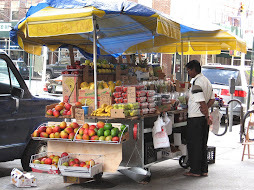 * LOCATIONS...NEW YORK CITY...LONG ISLAND...AND PORTIONS OF NORTHEASTERN NEW JERSEY. * ACCUMULATIONS...SNOW ACCUMULATION OF 5 TO 8 INCHES. 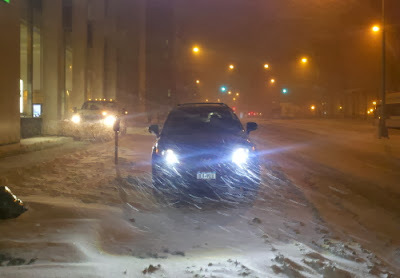 SNOW COVERED ROADWAYS WILL CREATE HAZARDOUS TRAVEL. If you stayed in Brooklyn and watched the Super Bowl on TV, you're probably feeling pretty good about that decision right about now. The Super Bowl started out with massive mass transit jams. Tens of thousands of attendees became hot, tired and panicked. Jeers included shouts of “T.S.A. !” and "Blame Christie!" according to the NY Times. People collapsed in the overcrowded and overheated New Jersey train station at Secaucus Junction, according to the Associated Press. In a nightmare scenario, people were squeezed together in an enclosed stairwell. Emergency medical workers had to push their way through to treat the people. According to NJ.com, security officers at first were checking every bag, but by 2:45 p.m. "they were pouring through with little or no examination of what was on their person or what they were carrying." 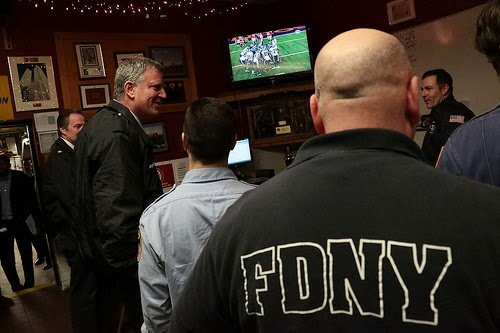 Mayor Bill de Blasio watched part of the Super Bowl with firefighters from Fire Engine Company 220 in Park Slope on Sunday. The Mayor said he was rooting for the Seahawks. In the infamous words of Brooklyn/ Staten Island Congressman Michael Grimm, the Seattle Seahawks broke the Denver Broncos "in half, like a boy." Final score: Seahawks 43, Broncos 8.